- Dollar Rupee.A Fast & Furios Move Ahead !!! Globalization has led to an increase in foreign investments. With the growing pace of international trade and developments in the world economies, the value of currency keeps changing. We help investors with timely tips to benefit from these changes at the foreign exchange. Our clients earn good returns through currency trading using our high-end currency analysis tools. We are authorized Reserve Bank of India (RBI) approved Money Changer. 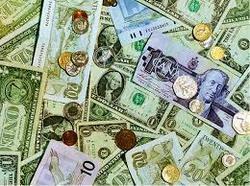 We deal in all major currency transactions concerned with buying and selling aspects. We also change Traveller Cheques as well as foreign currency. Engaged in providing services such as currency exchange. Let us take care of all the foreign exchange formalities to make your task easier. We collect all the relevant documents and have the exchange delivered at the place of your choice. No more waiting at the bank counters. BookMyForex is India's first full featured online foreign exchange and private remittances booking portal. Our nationwide tie-up with Axis Bank allows us to provide money exchange and remittance service in all major cities of India including but not exlusive to Delhi, Bangalore, Mumbai etc. Foreign Exchange Rate forecast involves a complexity since it operates 24 hours. 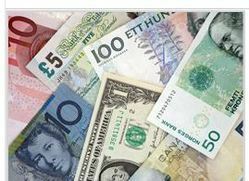 Depending on the international exchange rates that lie in the future there arises the need for extensive study and in-depth analysis to forecast Foreign Exchange Rate.